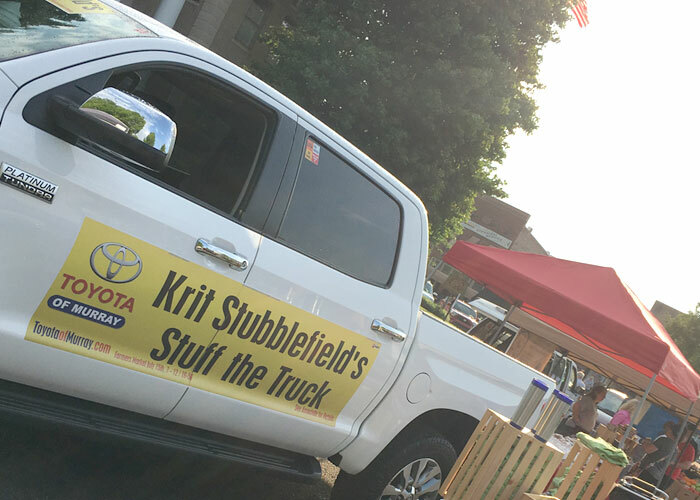 The Krit Stubblefield Stuff the Truck for Need Line event has been taking place one weekend every July since 2015. A local automobile dealer, Toyota of Murray, kindly donates a new truck for the day so we can ‘stuff it’ with fresh produce. Market customers are encouraged to purchase extra during the day and put it in the bed of the truck. After the market closes, the farmers will donate what is left for the day. Need Line of Murray-Calloway County is a non-profit social service agency in Murray, Kentucky. It is our local our local food pantry who exists to give assistance to persons in need. Need Line seeks to provide ways by which individuals, congregations, and other organizations can respond in a coordinated and compassionate fashion to such human needs as poverty, homelessness, and neglected lives. For more information about Need Line contact them at 270-753-6333. 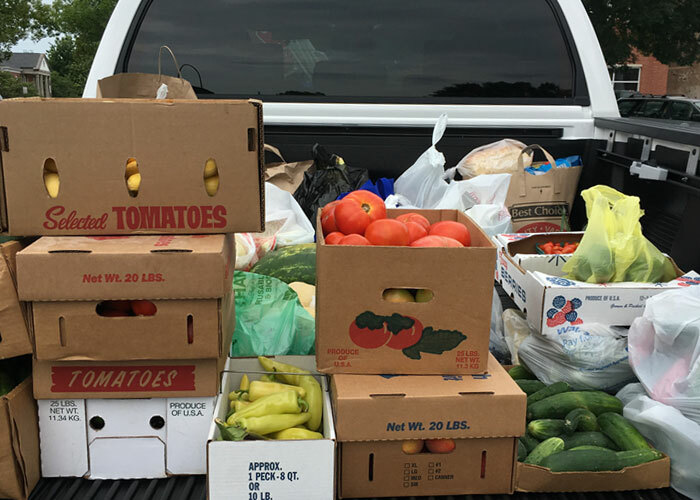 Every year our Stuff The Truck event collects approximately 300 lbs of fresh produce from the market and its customers for families in need in Murray and Calloway County.